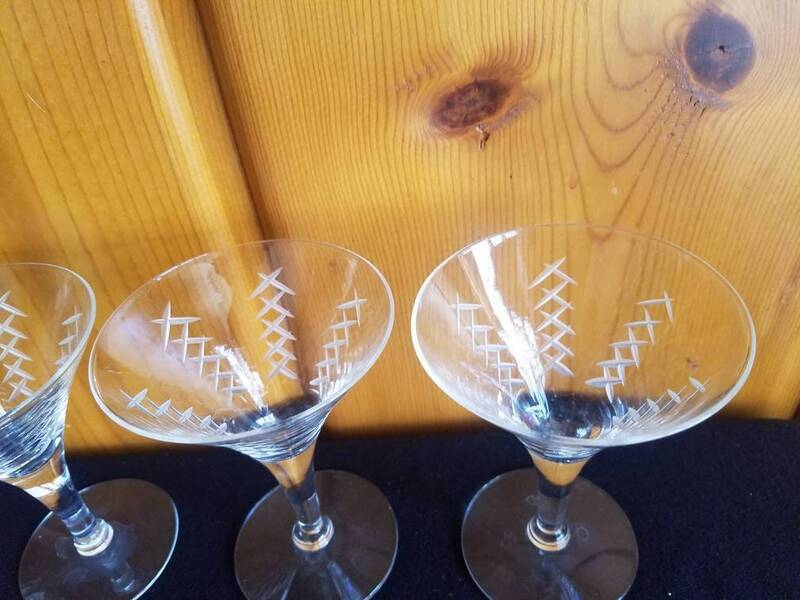 Vintage mid century modern Starburst etched martini or cocktail glasses to be used for entertaining guests. These could also be used for liquor or other small drinks. The pattern is stars,x pattern or crosses. All in excellent condition one has a very tiny flea bite chip at the rim. This is a set of 7.